Taken at Tolovana Beach alone the western Coast of Oregon. 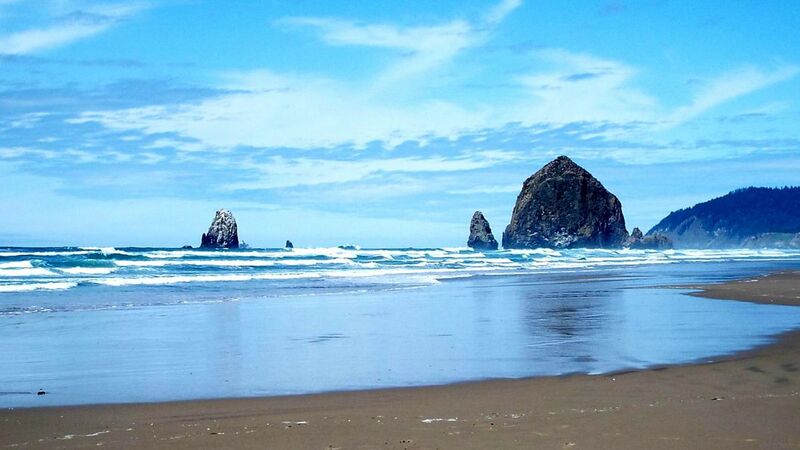 These formations are called "Haystack Rock" and "the Needles". The beauty speaks for itself.